Have patient stand erect, with weight evenly distributed. Provide some support for patient to hold onto for security. 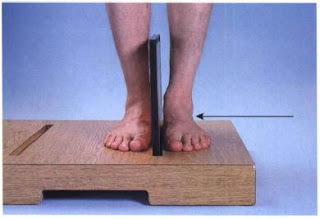 support vertical cassette between feet, with long axis of foot aligned to long axis of IR. Changed cassettes and turn patient for lateral of other foot for comparison after first lateral has been taken. 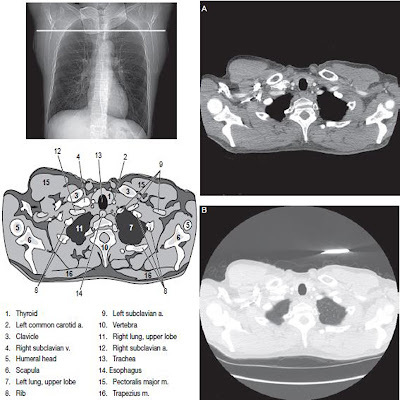 Direct CR horizontally to level of base of third metatasals. Collimate to margins of feet (foot). The entire foot should be demonstrated, along with a minimum of 1 inch or 2 cm of distal tibia-fibula. Distal fibula should be seen superimposed over posterior half of the tibia, and plantar surfaces of heads of metatarsals should appear directly superimposed if no rotation is present. 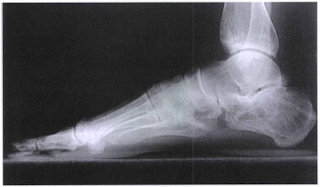 Center of collimated field (CR) should be to level of base of third metatarsal. Four sided collimation should include all surrounding soft tissue from the phalanges to the calcaneus and from the dorsum to the plantar surface of the foot with approximately 1 inch or 2 cm of the distal tibia fibula demonstrated. Optimal density and contrast should visualize soft tissue and bony borders of superimposed tarsals and metatarsals. Adequate penetration of x-ray in the midfoot region. Bone trabecular marking should be sharp.